Finished: Top finished January 2005; quilting finished 2018 by a member of the MMQG. 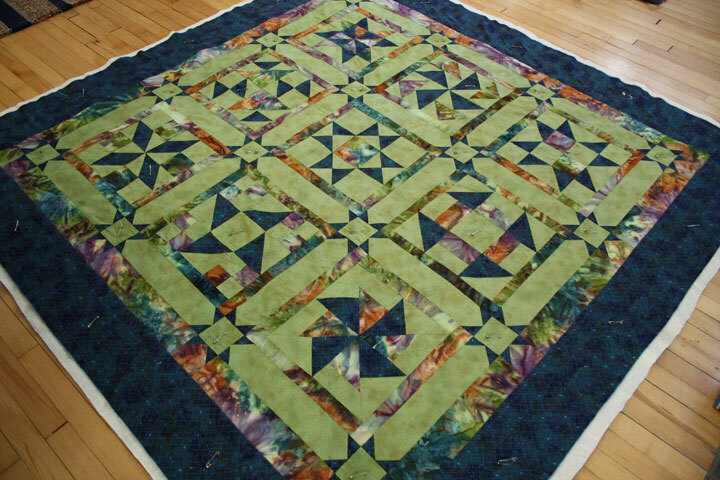 This was the first quilt top that I ever made. I wrote a blog post on it here describing the color drama that went on. The main reason it stayed unfinished so long is that for the longest time I hated the color. In 2018 I decided that I was never going to love it and donated the top, backing, and binding to the Minneapolis Modern Quilt Guild charity committee where a volunteer quilted and bound it before it was donated to a local charity.